People think that Torah is about something: that it comes to explain our world, what has happened and what will happen, where each thing belongs and what to do with it. In a way, this is true. But ultimately, Torah isn’t about anything—everything is about Torah. 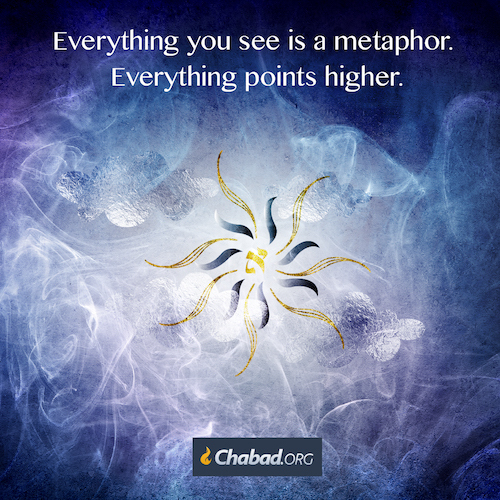 G‑d emanated light, created a world and filled it with events, people and things, all so we would have means and metaphor to discuss His thoughts. Chayei Sarah 5726:19. Torat Menachem 5741, 13 Tishrei, sicha 1—based on Zohar, Behaalotecha.